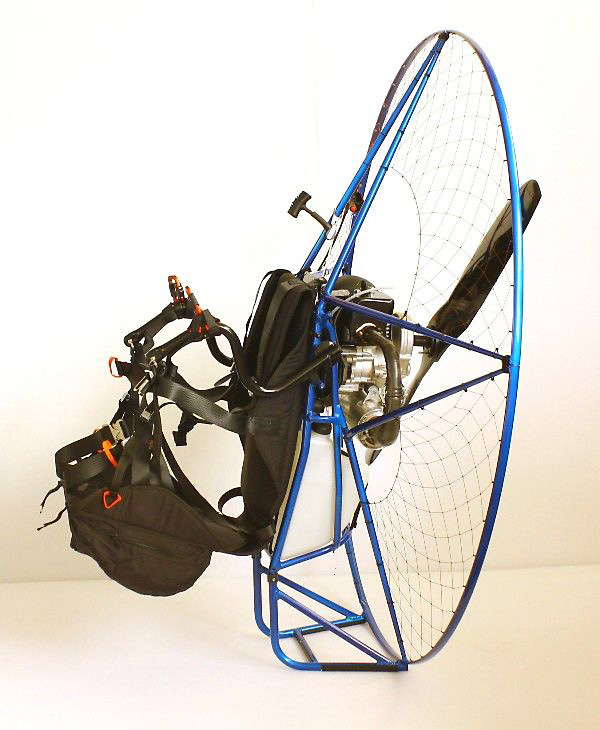 The new Miniplane ABM (low hang point) Rigid Cage Paramotors - Quieter, more economical, stronger, with the benefits of an airfoil style rigid cage! 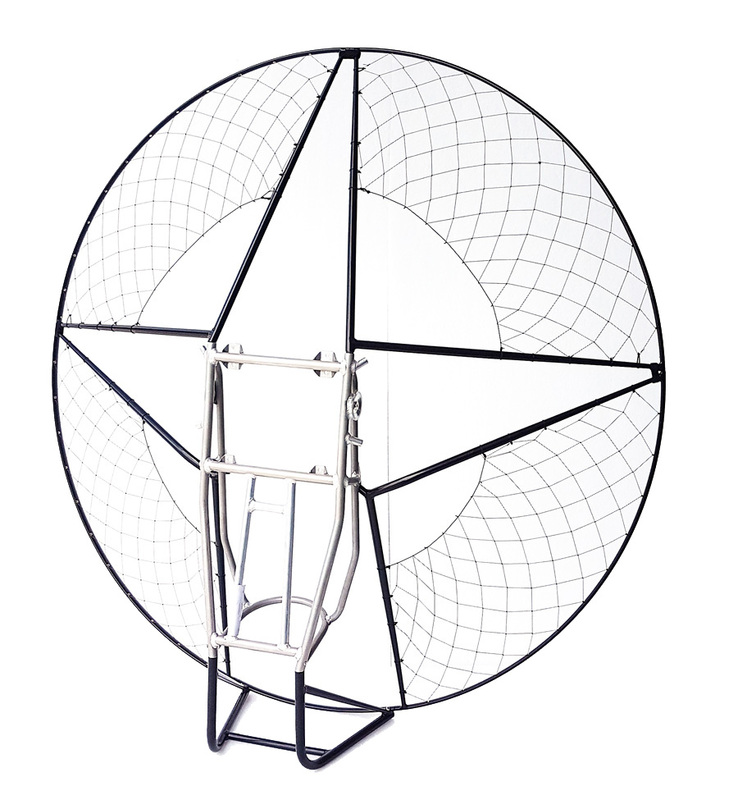 Available in 150cm Cage size - The 150cm cage diameter version accommodates a 140cm propeller! In general, every aspect of performance is improved. There is better efficiency of the propeller (higher aspect ratio), so more thrust is obtained with less energy consumption. 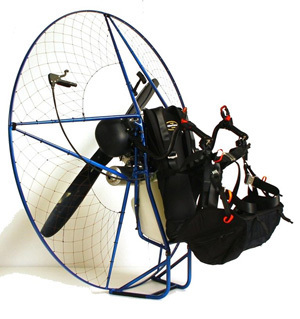 A larger propeller needs adequate protection that is not offered by Miniplane's traditional flexible cage. The solution for propeller protection is Miniplane's new cage built with a high strength aluminum drop-shaped aerofoil profile. The new reduction ratio make the propeller turn more slowly. 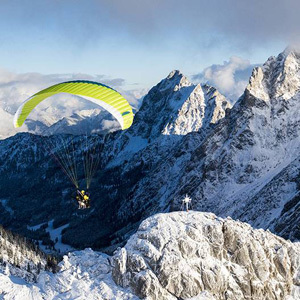 Thanks to this increased efficiency, during horizontal flight the noise is greatly reduced making the flight more relaxing for the pilot with less noise disturbance for those who are watching from the ground. A further advantage is that the profile used for this carbon fiber propeller keeps performance high even as air density decreases, as it maintains thrust as the height increases. While the Stastic thrust is increased a bit, the real benefit is the climb rate especially at altitude. Most of this extra performance comes from the longer and wider propeller catching more air outside the disturbed airflow of the pilot. For the 150cm version the RPM of the propeller is drastically reduced, only 2200 (17/75 Standard Gearbox) RPM at maximum throttle. 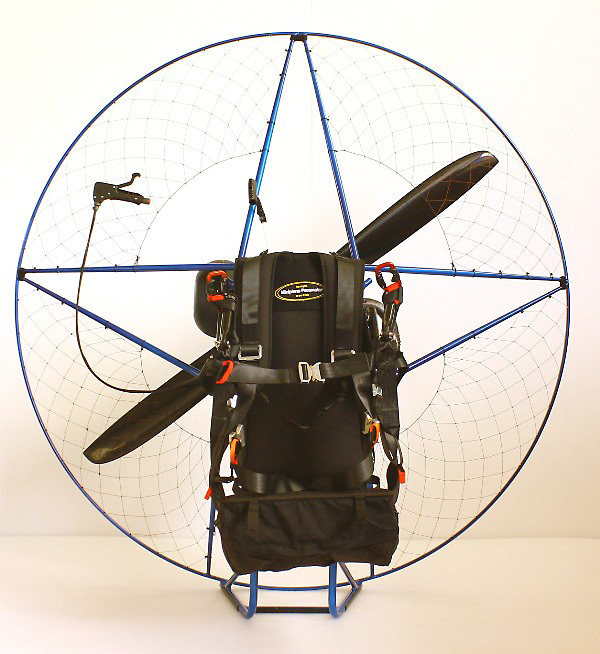 The result is a smoother, quieter, more efficient flight, not to mention the benefits of a rigid airfoil style cage! 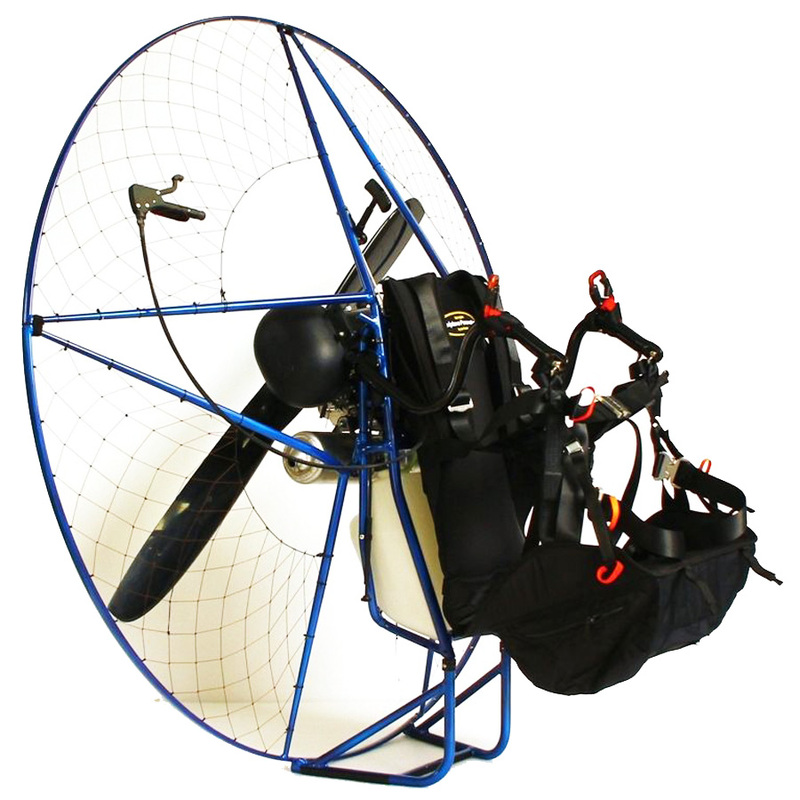 I am sure you know me, I am the author of many articles that I make flying in paramotor, published in the most important flight magazines. 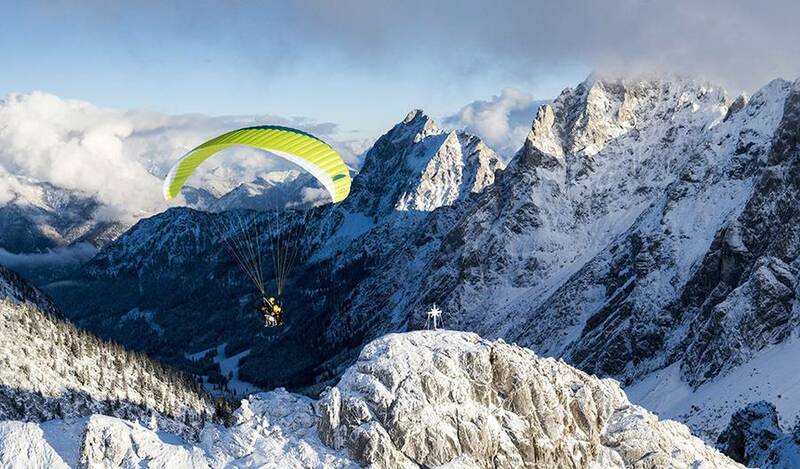 To realize my special services I often find myself flying at unusual heights for normal pilots, my photos prove it. Time ago Diego advised me to test the difference in performance at a height offered by a new reducer / propeller coupling with a larger diameter and a larger cord. INCREDIBLE is my judgment, I could not believe that the same engine with the same power could offer such a big difference in performance just by changing some components. The impression of pushing is surprising, even though Diego told me that there is not a big difference on the static thrust. The real difference that can objectively and easily be measured with instruments is that where before with the 125 cm propeller I climbed up to 30-40 cm sec, now I can climb to almost 1 m / s! This allows me to move more freely and quickly in the spaces where I need to look for the best shots.